Violet Lindstrom is committed to going to the mission field. A broken engagement and a world war have stalled her plans, but a heart to serve has led her to join the Red Cross and hopefully minister to British children who have been evacuated to the countryside. Dismayed to discover her plans are once again thwarted and she's been assigned to run an Aeroclub for American pilots, Violet struggles to see the men as more than a disruption and a poor substitute to her true calling. Like his brother, whom we met in The Sea Before Us, Adler Paxton is estranged from his family. Having betrayed everyone he loves, Adler's personal ambition drives him to become an ace pilot. Assigned to be a wingman instead, he struggles to accept his place - just as he has his whole life. He's refused to acknowledge the pain that came with his fiancee's death and his subsequent actions towards his family, but caring friends and God's work in his heart prompt Adler to open up and wrestle with the Almighty just like Jacob of old. There's a thief among the Aeroclub volunteers, and Violet may lose her job - and any hope of a mission board accepting her - if she can't prove that she's not the one selling Red Cross supplies on the black market. Meanwhile a tall Texas gentleman with a tortured past has caught her eye and become the friend she needs during this difficult assignment. If only she can help him as he confronts his personal demons and comes face to face with the consequences of his actions. Is there hope for a Paxton family reconciliation? Violet wants to see Adler become whole again. 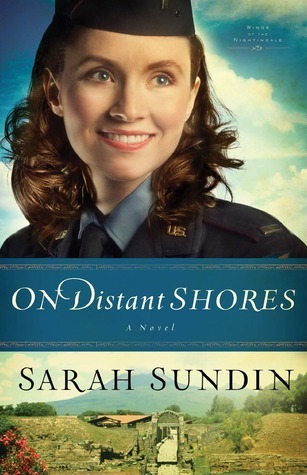 Dreams, ambitions, failures, and faults are on full display in this second book in Sarah Sundin's Sunrise at Normandy series. You'll ache and cry with the heartaches faced, and worry about the safety of Violet, Adler, and the others at Leiston Army Airfield. This is another spectacularly written, well-researched WWII novel from one of my favorite authors. I can hardly wait to see how this series concludes when The Land Beneath Us releases next year! Sarah Sundin's new Sunrise at Normandy series gets off to a wonderful start! The series will feature the stories of the estranged Paxton brothers who all end up storming Normandy on D-Day - one from the sea, one from the air, and one from the ground. 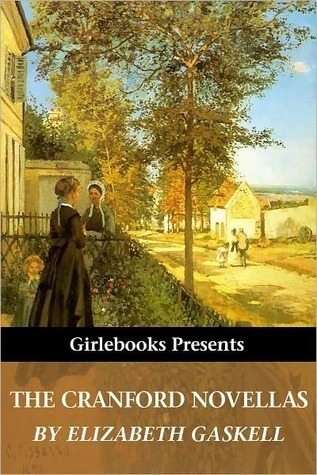 Book One is about Wyatt, the oldest, whose actions spurred the breakup of the brothers. Now he's in England in early 1944, helping map out and plan the upcoming attack on the Norman beaches. Still trying to atone for the sins of the past, Wyatt believes that once he reaches a certain goal he will be able to return like the prodigal son to his Texas home. Dorothy Fairfax grew up being called "Jolly Dolly" as she dashed from one adventure to the next. Now the Blitz and the war have decimated her family, and the only person she has left in the world - her father - is mired in depression and barely able to function. Dorothy's work with the British Wrens is valuable, but she's terrified she'll be transferred away from London. Meanwhile she's also been working to develop an air of sophistication and class in order to catch Lawrence Eaton's eye. Eaton was a classmate of her brothers and Dorothy has had a crush on him for a long time. She's worked hard to shape herself into the kind of woman he will notice, and now that he is working in the same office the time is right to make her dreams come true. As Wyatt and Dorothy develop a friendship, he's drawn to the fun-loving redhead and her big heart, but he can see she only has eyes for Eaton. She's thankful for a friend in whom to confide her troubles at home and with her father's business. Formerly an accountant, Wyatt agrees to help find a suspected embezzler within the Fairfax & Sons company, but what he uncovers may shatter what little family security Dorothy has. I really enjoyed both Wyatt and Dorothy's stories. Their faith struggles were well-written and relatable, as Wyatt has to learn to forgive himself and live with his past, and Dorothy grapples over a relationship with a God who has allowed so much loss in her life. I've also never read a story that specifically focused on D-Day preparations, and I felt like I learned new things about this portion of history. I look forward to the rest of the books in this series! I know I am behind on the times, but I was finally able to read Sarah Sundin's spring 2017 release. It was worth the wait! Filled with intriguing characters and historical accuracy, When Tides Turn wraps up the Waves of Freedom series. You can read my reviews of the first two books here and here. Beautiful and outgoing, Quintessa Beaumont has had her share of attention from men - and unfortunately often for the wrong reason. She's tired of people never looking beyond her outer appearance and finding her merely ornamental. Wanting to make a difference and change people's view, she shortens her name to Tess and enlists in the WAVES - Women Accepted for Voluntary Emergency Service. 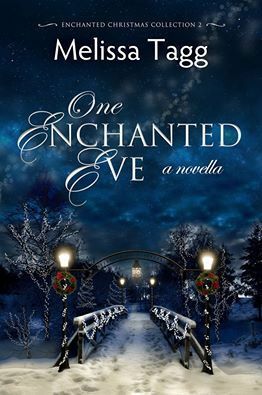 Even as Tess thrives in her new role, she can't keep her mind off Dan Avery, her childhood friend. Their paths keep crossing as Dan works diligently in the Anti-Submarine Warfare Unit, where he has taken a year-long assignment in hopes that it will look good on his resume and make him even more fit to pursue his dream of a long career at sea. Tess loves the determination and hard work which Dan applies to every part of his life, but she worries that he's too single-minded and will burn himself out. Following in the footsteps of the mentor who became like a father to him, Dan has decided never to marry and to devote his life to the Navy. That was an easy enough decision when his only previous romantic entanglement was with a woman who was needy and wanted to hold him back. Now that he is spending time with Tess, he's having to reevaluate his stand. He's never met someone more encouraging or energetic, and he can tell she genuinely wants what is best for him, even if her perspective challenges his status quo. She brings color and warmth to his black and white world. I love that the cover of this book shows both Tess and Dan with crossed arms - they are two stubborn people who care about each other but have many bridges to cross before they could possibly find a way to be together. You'll enjoy trying to cross those bridges with them, and you'll want to buckle your seatbelt as you travel with Dan for naval battles in the Atlantic Ocean and try to crack an espionage ring with Tess. This is well-researched WWII fiction that you won't want to miss! Ray Novak set aside his heart's work of being a pastor in order to serve in the military during WWII. Training pilots stateside is noble, but hardly the stuff of heroes. He feels even less needed when he's reassigned to a desk job near his home town. It does put him in the path of childhood friend and war widow Helen Carlisle, which is a definite advantage, but he still feels like he needs to do more for his country. Thrilled to reconnect with Ray, Helen hopes her days of pretending are over. She feels like rejoicing that her abusive marriage came to an end thanks to a Japanese torpedo, but she's never been honest about where her broken bones and scars came from. With Ray there's hope that she can stop her pretense of grief and secure a future of safety and love. But hurt people tend to hurt others, and Helen's brokenness soon drives a wedge in the fledgling romantic relationship. Deciding to prove his bravery, Ray signs up for a combat tour and soon finds himself stationed in Europe. It's nice to be near his brothers Walt and Jack, but it's hard to know his actions are causing death and destruction even though the cause is just. As Helen begins addressing the pain in her past, the freedom of healing begins to emerge. With new eyes, Helen begins to hope for better days ahead for herself and her young son. Her struggle continues as she realizes her father-in-law controls so much of her life yet, and he has no notion of releasing her or his grandson if he can possibly help it. Hoping and praying and loving Ray from across the ocean, Helen navigates one day at a time. With WWII drawing to a close, Ray has no idea the lengths to which his bravery will be tested. Captivating action will keep the reader glued to the pages as the Wings of Glory series comes to a close. I would caution that verbal and physical abuse is dealt with in detail in this story and may be of concern for some readers. This story caps another exciting series by Sarah Sundin, an author I would recommend to all historical fiction fans. 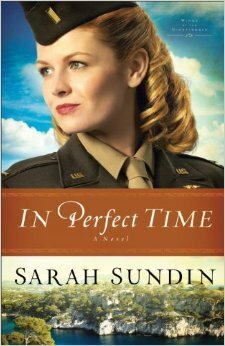 As a huge Sarah Sundin fan, I think she's the best World War II author out there today. 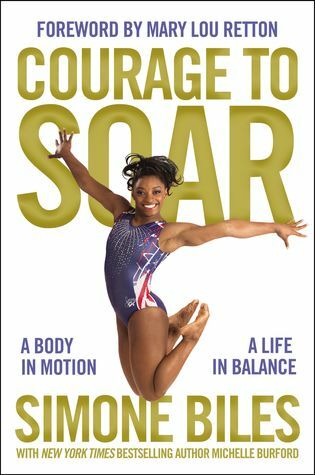 This 2010 release proves how much she has grown since she first became a published author. Set mainly in England in 1943, this story follows Jack Novak, Air Force flyboy, as he lives for the thrill of the next bombing mission or chance for promotion. While he always assumed he would grow up to be a pastor like his father, Jack is beginning to wonder if the military is his life calling after all. Ruth Doherty scrimps and saves every penny she earns from her nurse's salary in order to support her orphaned younger siblings. She has no time for dating, even if her life is full of military men. Not with her responsibilities, and especially not with her past. When Jack and Ruth meet, Jack becomes determined to be the one to break Ruth's resolve and win her heart. As the two grow close, he has no idea of the vulnerability lying behind Ruth's strong exterior. Could it be that he is wooing her more for the challenge than for true regard of who she is? As motives unfold and truth comes out, both will have the chance to come to terms with their shortcomings before wholeness can be found. This novel had a few problems. The main one was that the author seemed to beat the reader over the head with the characters' perceived struggles and flaws. I also had a hard time with the categorizing of teenage kisses as sins, which was a major driving force of false guilt that was never resolved. Additionally, I feel the need to say that if you have triggers from sexual assault or sexual harassment, this is not the book for you. As I mentioned earlier, I consider this author a favorite and this is the first time I've been disappointed with one of her titles. I highly recommend her other works, and I will continue reading her in the future. I'm glad she's improved as an author since this sophomore release! Wrapping up the Wings of a Nightingale trilogy is the story of Kay Jobson, the nurse who has been more on the outside of the friendly group we've gotten to know from With Every Letter and On Distant Shores. Closed and defiant, Kay has no problem dating six men at a time, keeping them all at her beck and call while actually protecting herself from getting close to any one of them. This way of isolating herself while being a social standout comes with a price, and Kay finds herself longing for more. Her father's fanatic religion has driven her away from wanting anything to do with God, but the faith of the other nurses and pilot Roger Cooper is beginning to call out to her. Roger struggles with the rules and regulations that come with with being a pilot during a war. All the paperwork and long hours require a different mental approach from the man who would rather play drums all day. Roger dreams of the war being over and auditioning for a place in a popular big band. 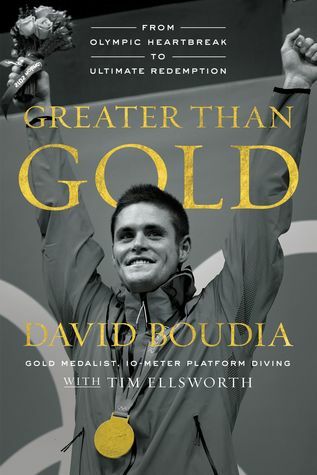 All his life he's been told he'll never amount to anything, and his past seems to prove it. 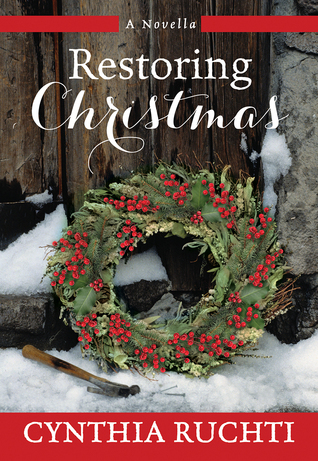 He knows God has forgiven him, but he still wants to protect himself from repeating mistakes. The last thing he wants is for Kay to turn her flirtatious smile his way, but when she does, Roger suddenly feels impressed to give her his Bible. Couldn't God send anyone else to help the gorgeous redhead find her answers? While Kay is shocked that Roger has given her one of his most treasured possessions, she begins reading it and writing down questions to mail to him at his new station in India. As she gets to know God for who He is rather than who her father presented Him to be, Kay finds herself longing for His love, and accepting it brings a radical change to her life. No longer seeing the men around her as playthings, Kay devotes herself to trying to unify their nurse squadron so she can qualify for chief nurse training. Such a position would open the door for her dream of a stable future and a home of her own to come true. When Roger returns from India and finds himself stationed near Kay again, a steadfast friendship emerges. But with their differing goals and the dangers of the final year of the war at hand, there is plenty of tension to keep them from deepening their relationship even as attraction grows. Out of the three books in the series, I found this one to have the most exciting war action. I won't spoil it, but things happen that keep you on the edge of your seat! I also was very excited when I realized that Kay was getting her own book, as the hints we were getting in previous books made me see her potential as an interesting heroine. I continue enjoying each and every one of Sundin's novels, and look forward to her next release! 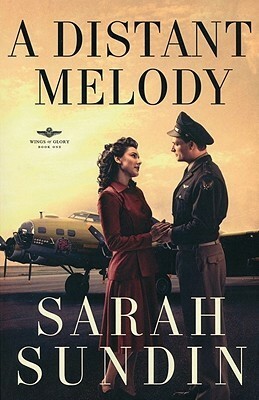 In this second book in her Wings of a Nighingale series, Sarah Sundin takes to the skies with another pioneer flight nurse during World War II. Picking up with the cast of characters established in With Every Letter, our heroine is Georgie Taylor, a southern belle who only joined the Army to keep up with her best friend Rose. Georgie is terrified of being in a position to make life-and-death decisions and can't wait to return home and marry her fiance Ward. Then others can make her decisions for her, the way they always did as she was growing up. The only decision she's ever made on her own was to join Rose, and look where that has taken her! John Hutchinson went through four years of training to become a pharmacist, and he joined the military to help with the needs of the wounded on the front lines. Pharmacy was not a respected science in the Army at that time, and he was forced to join as an enlisted man and to work alongside those who had much less training and under men who looked down on his profession. Hutch struggles with feeling disrespected, but knowing his father is working hard to petition Congress to commission a Pharmacy Corps and that he is helping by being able to testify firsthand of the need of such a corps gives him a reason to press on. When Georgie crosses paths with Hutch she's immediately drawn to the tall and knowledgeable sergeant. When she finds out that he also has a fiancee back at home she feels confident that they can be friends and both remain loyal to their stateside sweethearts. Besides, she's an officer and he isn't so fraternization is strictly forbidden. Hutch and Georgie both want to see each other be the best they can be. For Hutch that means encouraging Georgie that she is capable of doing her job and of being unwavering through the uncertainties that face her every day, while George tries to bring a light to Hutch's dark circumstances and challenges him to find contentment and meaning right where he is rather than waiting for a break to come his way. While both Georgie and Hutch face the dangers of war, I found that most of the conflict in this story was internal, so to me it read as very character-driven. Even though I'm not in the Army I could relate to those internal struggles because while situations may be different, human emotions are much the same. I absolutely loved something Georgie learned on page 141: "...she shouldn't aim for safety but for strength to stand in an unsafe world." We still need people with that kind of God-given strength in the world we live in today. The historical aspect of this novel was amazing, as always. It was painful to read about what those pharmacists had to go through, and there are brief but interesting scenes about shell-shock and racism that left me thankful for changes that have been made since then. I also enjoyed the setting, which was mostly in southern Italy. I had no idea that Mount Vesuvius erupted in 1944 or how it affected the troops stationed nearby. That's the kind of thing I'm always interested in learning, and one reason I love well-researched historical fiction. This was another hit by Sarah Sundin. 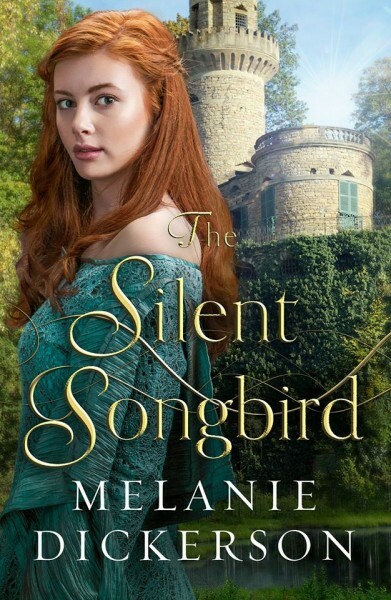 I'm so impressed by her storytelling skills, lovable characters, and historical accuracy. I look forward to reading the third book in this series in the near future. Tension ran high in the United States in 1941. Europe and Asia were embroiled in another war, and Americans were divided about whether her military should be involved or remain neutral. Working as a secretary at the Boston Navy Yard, Mary Stirling has a front row seat to the construction of new battleships, and her ears are full of the rumors of sabotage among the workers. 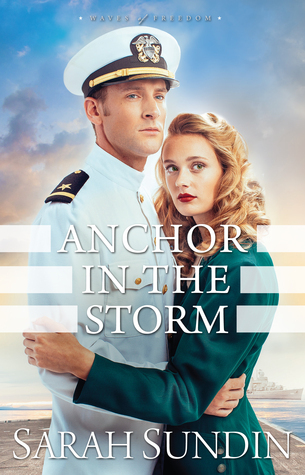 When Jim Avery is assigned to a newly-commissioned ship in Boston, he's delighted when his paths cross with Mary, a childhood friend. Jim isn't looking for a relationship right before he ships out, but he's happy to see a familiar face and have someone to visit with on his days off. When Mary tells him about the sabotage rumors and her desire to do something to help gather evidence by inconspicuously using shorthand to record the conversations she overhears, Jim is full of encouragement. Mary knows Jim was once in love with her best friend in high school, and now that Quintessa is newly single she is sure that the two will find their way to be together again. Quintessa is a "golden girl," full of sunshine and chatter, while Mary knows Jim could never be attracted to her silvery, quieter self. Still, feelings for him begin to grow as they rekindle their friendship, and his belief in her helps her have the confidence in herself that she needs. As the days grow closer for Jim to ship out, he begins to realize that all his life he's drifted along without much effort. Born into a Navy family, Jim did work for his commission but he also didn't think too much about it. He realizes that while it would be easy to float through life, he's going to miss out on what he really wants if he continues to let the winds blow him where they may. But before he can chart his course and pursue the woman who has captured his heart, the dangerous saboteurs and friends from the past will both come along to try to disrupt his newly made plans. I enjoyed this book tremendously! Both Mary and Jim had strong inner turmoil which drew me in and made me cheer for them. The action was exciting and well-written, and faith and Biblical principles were woven in seamlessly. I had a very hard time putting this book down and easily could have read it in one sitting. 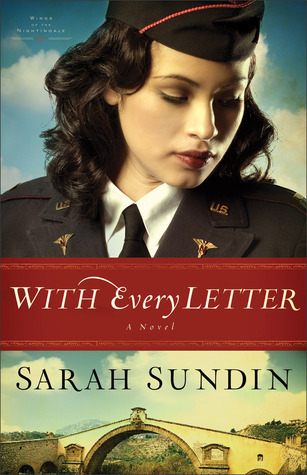 This is only the second book I've read by Sarah Sundin, but it won't be the last! I received my copy of the book from LitFuse Publicity in exchange for this honest review. All opinions are my own. 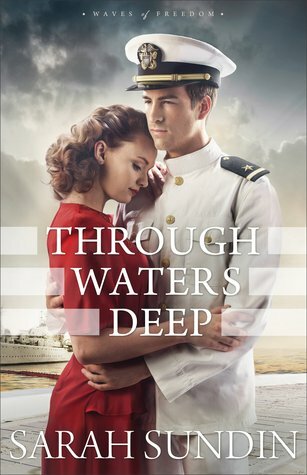 If you would like to read what other people are saying about "Through Waters Deep," click here. Dive into Sarah Sundin's explosive new series, Waves of Freedom, with book one, Through Waters Deep. When evidence of sabotage on the Atwood is found, Jim and Mary must work together to uncover the culprit. A bewildering maze of suspects emerges, and Mary is dismayed to find that even someone close to her is under suspicion. 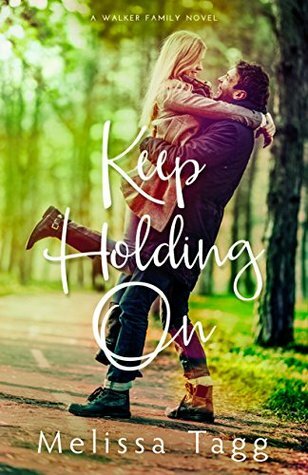 With the increasing pressure, Jim and Mary find that many new challenges–and dangers–await them in the midst of their budding romance. Enter today by clicking the icon below. But hurry, the giveaway ends on August 24th. The winner will be announced August 25th on Sarah's blog. I had heard wonderful things about Sarah Sundin's historical novels, so when I saw that this one was free on Kindle (and it still is for a limited time! ), I grabbed it up and started right in on it. Having just finished "Rilla of Ingleside", I was already in a war novel kind of mood. This one is set in World War II. Sundin's writing style drew me in immediately. She found ways to insert musical references seamlessly into the text, tying in with the title of the story, which I found to be a nice touch. I thought her an engaging author, and I look forward to reading more of her books in the future. Our story opens when Allie Miller takes a trip away from home to be a part of her best friend's wedding. Allie feels very little control over her life. She's been raised by wealthy, homebody parents, and is in a long-term relationship with the young man who will one day take over her father's company. Having recently become a Christian, Allie feels that there is more out there than the staid life she's always known, but is uncertain of herself and her ability to pursue it. On the train ride she meets a young lieutenant and they are able to have an enjoyable conversation, each thinking they will never see each other again. But when they reach their destination, Allie and Walter Novak discover that they are both in the same wedding party, and are thrown together often over the course of the week. Walter falls hard for Allie. Allie doesn't like to talk about the unpleasantness of her home life, and she feels sure that their mutual friends will fill Walt in on the fact that she's almost an engaged woman. Besides, she's enjoying the very real connection between them. At the end of the week Allie returns home and Walt prepares to ship out, and they agree to write each other. Throughout the following long months, their friendship and prayers for each other are a sustaining force in both Allie and Walt's lives. She is bolstered by his encouragement to begin attending church and making decisions for herself, and he appreciates the way Allie listens and understands like no one else. Each of them fight their own inner battles even as Walt battles the Axis forces. Allie craves her parents' approval and knows she has it if she accepts her boyfriend's proposal and takes the place already assigned to her, but she doesn't know if she can live with herself if she follows through with it. Overall, I highly enjoyed this book. The spiritual aspect of the friendship between Walt and Allie was nicely done. At times the plot got a little convoluted, but thankfully I had a good stretch of time so I could read through most of the story at once and therefore wasn't bothered by that. There was realism about the death of friends and personal danger that Walt faced as a fighter pilot that fit the WWII setting. It wasn't a perfect novel, but it kept me wrapped up wonderfully. I hope I have opportunity to read the rest of the books in this series.